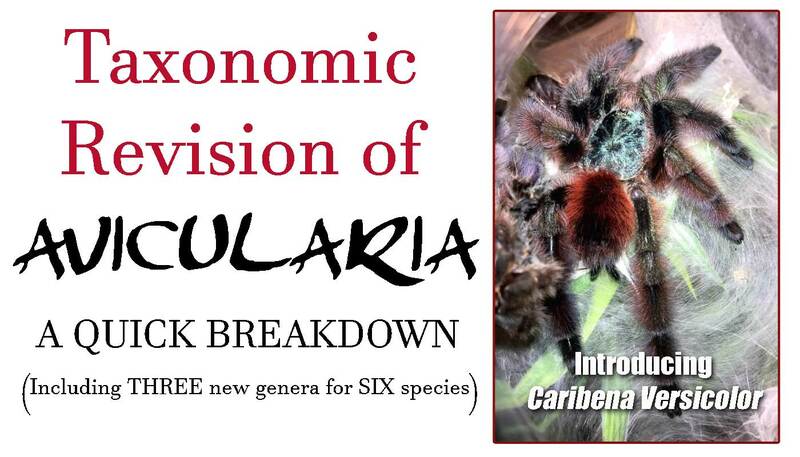 At one time containing 47 species and two sub species, the genus Avicularia has long been in need of a revision. Many folks have patiently been waiting for some changes since 2011 when Fukushima first published her then incomplete thesis on the genus. Word quickly spread through the forums and social media that the paper may call for the creation of up to four new genera, and hobbyists couldn’t wait to hear the final result. However, with the original 2013 release date coming and going, serious hobbyists were long left to wonder about what changes this much-needed revision would bring. What would the new genera be called? Which species would be eliminated? How many species would remain? Well, on March 2nd, the revision was finally released, sending many tarantula enthusiasts scrambling for their label makers. What follows is an (hopefully!) easy to follow breakdown of the biggest revelations and highlights from this important document. For the full publication, please click the link below. It’s long and the language can be a bit dense, but it makes for some fascinating reading. Among the big revelations was the creation of THREE new genera: Antillena, Caribena, and Ybyrapora. This meant that several species long identified as Avicularia would now call a brand new genera home, and hobbyists would have some new and interesting names to learn. For anyone who owned these species, it’s time to do some relabeling (while trying to wrap your tongue around some cool new genera names). These names are final and will not be changing back in the future. Fun note: Antillena rickwesti now joins the likes of Chromatopelma cyaneopubescens as a monotypic genus (at least for now). Once consisting of 47 species and two sub-species, the number of fully-described and accepted species has been whittled down to only 12. The “bona-fide” Avicularia species described in this paper are listed below. But what about species not on this list? Are they gone? As any Avicularia aficionado would notice, a good chunk of the species once labeled as avics are missing from this list. Where did they go? Well, that can be a bit tricky. The rest of the species were either switched to other genera or, in most cases, are now designated as nomen dubium, Latin for “doubtful name.” Some have reported that those species labeled nomen dubium no longer exist, and there has been some anxiety and confusion over what we should label species that fall under this designation. Does this mean that your prized A. metallica is now a spider without a name? For the time being, the name “Avicularia metallica” is still in use. In short, no. Nomen dubium means that the name is in doubt, but there is not enough information yet to change the name, merge it with another species, or label it a new genera. So, for the time being, you can keep your nomen dubium species labelled as they are. Basically, these are the species that may be revised in the future when more research is done, but until someone takes a closer look at them, the names will stand. As a result, these species will still be listed in the World Spider Catalog. Considering how many years it took to get this revision, it’s not likely any of us will have to worry about changing the names soon. For the time being, it’s still Avicularia metallica (and not Avicularia avicularia “metallica”). There was also one species labelled nomen nudum , which means the species wasn’t described enough to call for the scientific name, and five species that were combined with new genera to form a new combination. Read on for the species that still warrant revision. Euathlus affinis – Avicularia affinis transferred to Euathlus to make new combination. Grammostola subvulpina – Avicularia subvulpina moved to Grammostola to make new combination. 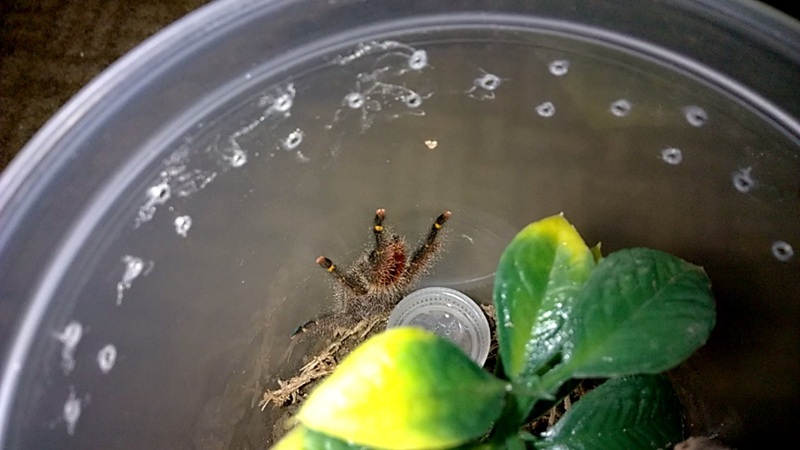 Thrixopelma aymara – Eurypelma aymara moved to Thrixopelma to make new combination. 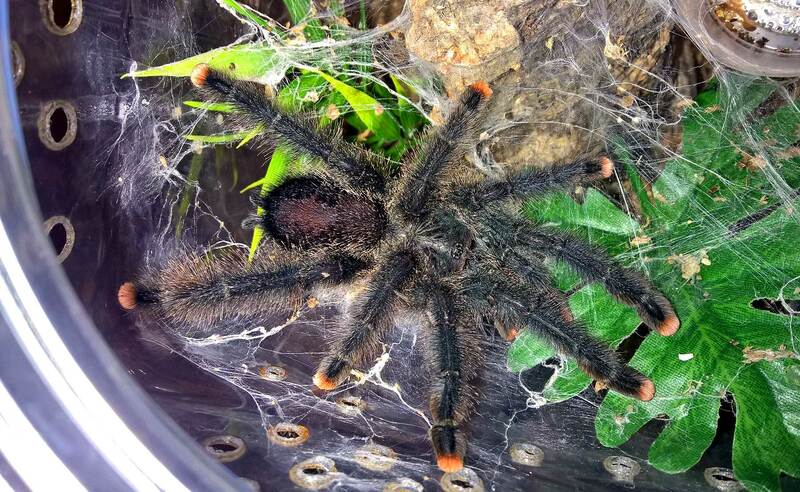 The gold-banded species commonly being sold as Avicularia juruensis in the hobby is likely mislabeled Avicularia rufa. Personally, I’m excited about the revisions and am already enjoying how Caribena versicolor flows (although I’m having a heck of at time learning how to spell it!). And it’s fantastic that A. diversipes, a species long thought to belong to a genus other than Avicularia, finally has a proper name. That said, with all of those nomen dubium species, it’s obvious that we still have a ways to go before this genus is completely sorted out. Considering how long this revision took, we can safely say it will be a while. How do you feel about the changes? How many labels did you have to change? Chime in! One label changed. My Caribena versicolor. The rest are Avicularia avicularia or the A. metallica. Tom my Brachypelma albopilosum wont eat. It hasnt ate for 2 weeks! And its not even premolt! Please help me tom! Please! How long have you had it for? A tarantula not eating for two weeks is not a big deal at all, especially a species like a B. albo. They can go months with no ill-effects. How large is it? Do you know when it last molted? Is it possible to release a curly hair tarantula into the wild here in California? Hi, Andrea. Although it could probably survive, that is NOT a species from that area and should not be let go there. Do you have one you are trying to get rid of?